Your tile is only as good as what's underneath. Make sure that the surface under your floor, the subfloor, is smooth and level before you start laying tile. Spray the subfloor with water before you install subfloor prep products. If the water doesn't absorb immediately, you need to clean your substrate to remove contaminants. Before you begin, make sure you have a clear, safe installation area. Remove anything that could be in your way, and cover all surfaces that you are not tiling to protect them from installation debris. Most floor tile can be installed over a variety of substrates – as long as they are structurally sound and solid. If you are tiling over concrete, new slabs must be cured at least 28 days. If you are tiling over plywood, plywood should be APA Grade Trademarked Exposure I (Underlayment grade or better). You must have 2 layers of plywood with a minimum total thickness of 1-1/8" over floor joists that are spaced 16" apart. These two layers must be fastened with adhesive and screws or nails per manufacturer’s instructions. 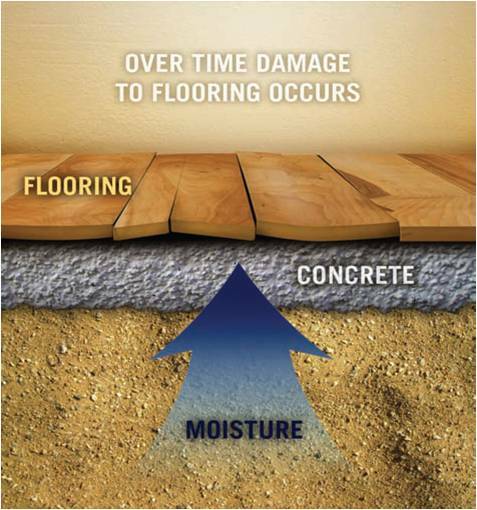 A structurally sound subfloor helps prevent moisture from getting into the slab, which warps and buckles flooring. Any loose areas of your substrate should be glued, nailed or screwed down tightly. After all your hard work, you don’t want a floor that’s bouncy or squeaky! If you are tiling over old tile or vinyl linoleum, any loose tiles must be secured. Linoleum must be noncushioned and fully adhered to the substrate. 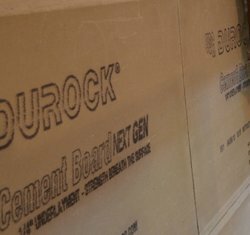 Any section of wallboard or other surface that has been damaged by moisture must be replaced. If installing new backerboard, be sure to follow manufacturer’s instructions. Check with your tile manufacturer to make sure your substrate is acceptable. The substrate must also be flat and even, without holes or voids. Use a 6’ or 8’ long straight edge (2” x 4”) to make sure that there are no gaps greater than ¼” when the straight edge is placed across the tiling surface. If a concrete or approved wood substrate is not quite level, don’t worry. Replacement is not necessary. Fill any holes, cracks, voids and depressions with TEC® Skill Set Fast Setting Patch. Keep your installation timeline on track with this fast-setting product – it sets within 40 to 45 minutes. If the variation spans a larger portion of your substrate, consider using TEC® Skill Set™ Self Leveling Underlayment. This easy-to-use product is walkable in 2-4 hours, and allows for floor covering installation in 12-16 hours. Your substrate must be clean, dry and free of contaminants, including grease, sealers, dirt, dust and debris. Linoleum should be stripped and cleaned. 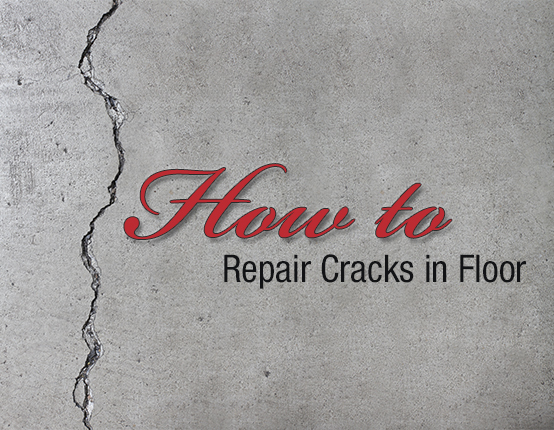 You want your tile to stick, and those contaminants can interfere with the adhesion process. Allow the surfaces to thoroughly dry before beginning to tile. After learning how to level a tile floor make sure you sweep the area clean before setting any tile. Discover how to lay tile in the next page of this guide from TEC Skill Set. I have a back porch which has a flocrete covering which was installed some 28 years ago and I want to put vinyl tile over it. Should I prepare the site by cleaning it first with your multipurpose primer and then apply your EZ level underlayment to prepare the surface before I apply the tiles? Thanks for your help! Hi Claire, Is your porch fully enclosed? Can rain and snow get in the porch? We only recommend vinyl installations for indoor applications that aren't subject to rain or snow. If your porch is fully enclosed and not subject to rain or snow, clean and dry the existing flooring. Prime it with TEC Skill Set Multi-purpose primer if your sealer on the Flocrete is acrylic base. If the sealer on your Florcrete is urethane base, it will have to be sanded off. Then, apply TEC Skill Set Multi Purpose primer, followed by TEC Skill Set Universal Skim Coat and Patch. Then, you are ready to apply the vinyl. If you'd like to talk through this installation further, please give us a call at 1-800-832-9023. We're more than happy to help! Hi John, The Self Leveling Underlayment does not take the place of backer board. I mention a little bit more about backerboard installation in this video, www.tecskillset.com/how-to-install-tile/floor/How-to-lay-tile-floor.html My Technical Support Team is happy to walk you through all the steps and products you may need when setting tile. Feel free to give us a call at 1-800-832-9023. I need to do leveler and waterproofing/crack prevention. What order do they need to be in? wood leveler waterproofing or wood waterproofing then leveler? Hi Gena, happy to answer. You should follow this order of installation: Prime the plywood, fasten the metal lathe, pour the self leveling underlayment, then waterproof the area if you're installing ceramic, stone, or porcelain tile. Feel free to give my Technical Support Team a call at 1-800-832-9023 if you want us to walk you through this installation further. tile aqua seal 1/2" concrete board floor leveler floor lever primer 3/4' plywood Is this adequate? Hi Lewis, I'm not certain what you're specifically asking. Can you clarify? How long is the open time for this product? In other words, the maximum amount of time product can be exposed before top coating with the leveler. Are you referring to the TEC Skill Set Fast Setting Deep Patch? If so, the open time (or the amount of time you can actively work with the product) is 15-20 minutes. It takes 60 minutes to cure after application. After 60 minutes, the surfaces can be walked on, and you can apply a self leveling underlayment over the area. Hope that helps.